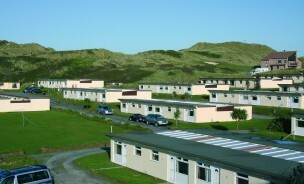 Beachside Holiday Park offers a variety of self-catering holiday accommodation, each fully equipped with all the essentials you’ll need for your holiday and within easy reach of our holiday park facilities. 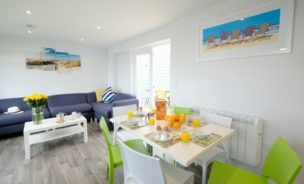 All our Self-catering holiday accommodation is furnished to a range of styles and finishes, from our comfortable, affordable chalets to our luxury seafront lodges. Designed to comfortably accommodate two couples or a family with children, our range of welcoming accommodation all have two bedrooms; one double and one with a double and bunk beds. 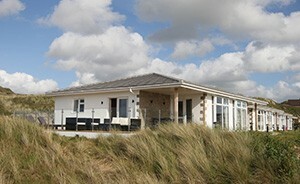 Opt for a detached bungalow, or for those extra finishing touches choose an apartment or spacious holiday lodge. 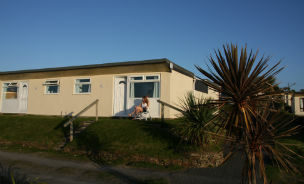 As a dog-free holiday park, Beachside provides a safe and relaxing environment perfect for families and couples, right on the beach in St Ives Bay, Cornwall. Free high-speed WiFi is included within all our types of accommodation and is also available in the bar and in the area around the shop, reception and main building. Whatever your choice, you’ll find all that our holiday park provides right on your doorstep and the breathtaking expanse of the Cornish coast beyond. 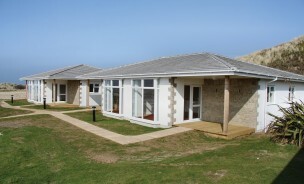 Our Chalets Plus have redecorated living and kitchen areas. 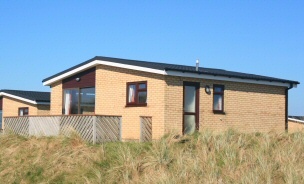 Economically priced, Chalet Plus provides spacious accommodation where the family can feel at home. With an all-weather conservatory roof and private patio area. Each apartment is designed around a central patio, providing a private covered space for you and your family and acts as a perfect indoor/outdoor space for all-weather relaxation and convenient storage for beach belongings, wetsuits and surfboards. Our unique bay view lodge offers a one-of-a-kind location and view of the bay, complete with a private deck, perfect for outdoor living. 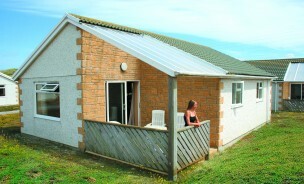 Includes all modern amenities, double glazing and is finished to a high standard.